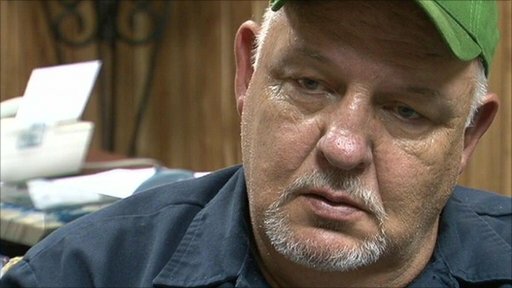 Mayor Stan Wright of Bayou La Batre, Alabama, says people in his state are having a "rough" time. He claims domestic violence "went up 320%" and calls to the police have also gone up 110% a day since the start of the spill. He expects the clean up operation on the Gulf Coast will "go on for years".